A reprise. No eclipses this month, only a nice common-sense Planters' Moon rising on the 2nd--start sprouting schemes and get them rooted by the dark of the New Moon two weeks later when both Luna and Sol meet in the Springfling energies of Aries. Work in cooperation with others now to get things going. From the 20th onwards, earthy energies predominate and progress becomes visible. 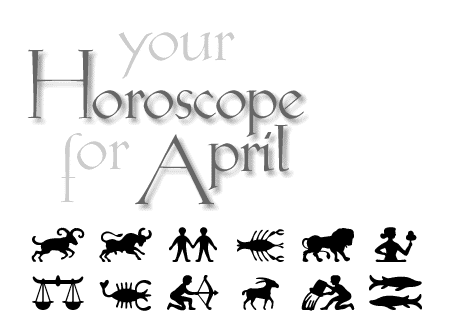 Cancer horoscope the month of April 2007. By Tofino astrologer Karedwyn Bird for Tofino Time Magazine.